That her old gloves were on, but ’twas her hands. Sure they can’t buy my soul. Sent down by the mob with a gun. I’m back out on the street. ‘Kid Gloves’, I’ll do anything but dive. In Japan taxi drivers wear them. Politicians wear them. Women at the information desks in department stores wear them. Police officers wear them. Train drivers wear them. 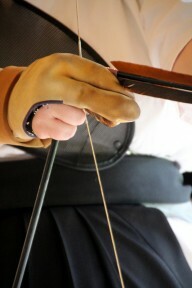 In the martial arts they use gauntlets in kendo and single gloves in kyudo. In some styles of karate they use gloves in sparring. The other day at a train station I saw an immaculately dressed man wearing black cotton gloves. He was reading a newspaper and he didn’t want to get ink on his hands. This is a very cool blog post on Danny Choo’s blog. It’s about a high school kyudo club. Great photos. Thanks Carina. Kiri Te Kanawa has a beautiful voice.